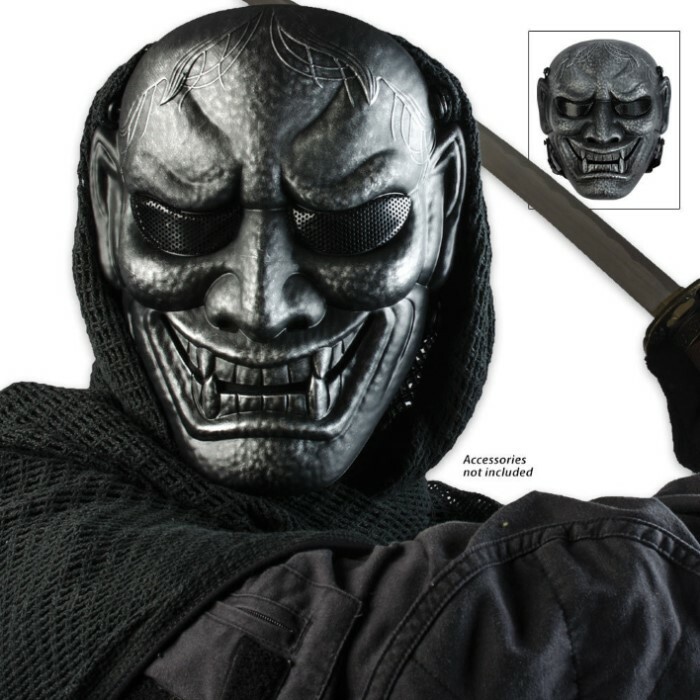 ABS Samurai Warrior Skeletal Facemask Silver & Black | BUDK.com - Knives & Swords At The Lowest Prices! 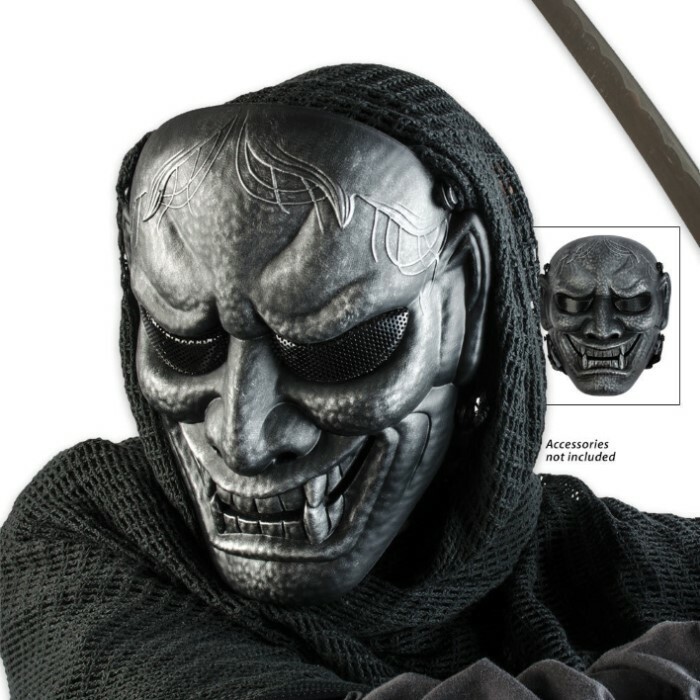 Add some zing to your next airsoft match with this highly detailed Samurai Warrior skeletal facemask. The silver and black polymer ABS construction is lightweight for a comfortable fit that won't weigh you down. 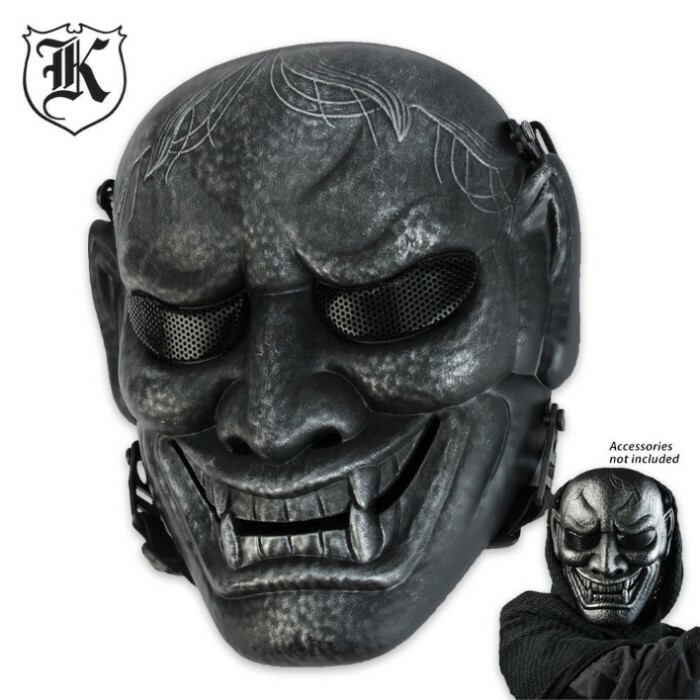 Get yours today and let 'em have it next time you play paintball. this was nowhere near worth the price it is. it's small and flat.